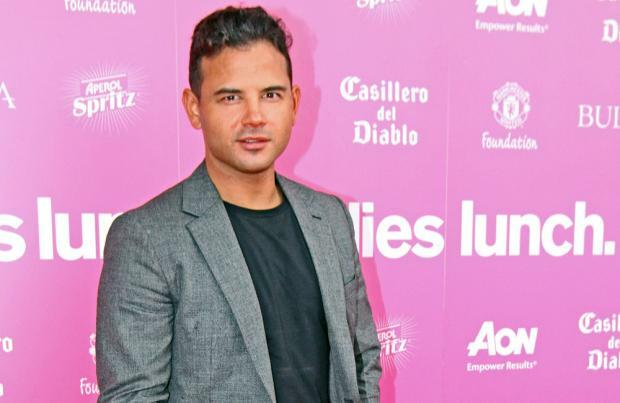 Ryan Thomas has split from his girlfriend. The former 'Coronation Street' star and marketing consultant Lana Martin have reportedly decided to call it quits after struggling to make the long distance between them work. A source told The Sun newspaper: "Ryan and Lana really tried hard to find time for each other, but they both lead busy lives and became more and more distanced from each other - literally. "It's a shame but it's totally amicable. Lana was there to help him adjust to life after Corrie. He'll always be grateful for that." Meanwhile, it was previously claimed that the 32-year-old actor would like to explore a career in theatre after quitting his job on the ITV soap. An insider said at the time: "He's really keen to do something credible and has been considering several gritty TV roles - but he's especially keen on a theatre project. "He's seen many of his fellow cast mates, including Julie Hesmondhalgh and David Neilson, take on parts in plays. He wants to challenge himself and move outside his comfort zone. Performing in front of a live audience just feels like the right fit." However, Ryan is reportedly keen to avoid any reality shows despite having a number of offers. The source added: "He's had quite a few offers over the years but has zero interest in going down that route. He's too ambitious and focused on the acting." And Ryan previously admitted it was an "extremely difficult" decision to decide to leave the Street. He said at the time: "It has been a great privilege to be in 'Coronation Street' - the cast and crew are among the best in the business. To be a part of it for so long has been an amazing experience. "The decision to leave was extremely difficult. I'm just excited now to see what exit storyline the writers give Jason."